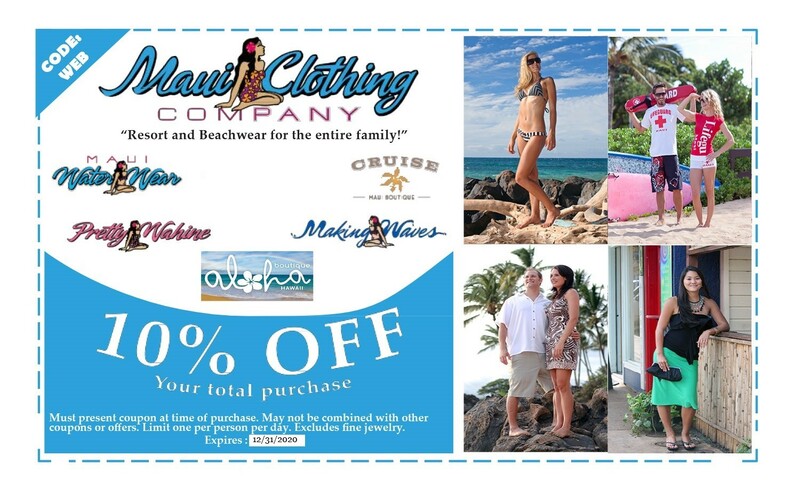 The Maui WaterWear and Making Waves shops have something to catch every woman’s eye and to fit a variety of shapes and sizes. With the most extensive designer swimwear collection in the islands, we feature hundreds of suits from designers like Roxy, Gottex, Leilani, Longitude, 2 Bamboo, Jantzen, Kechika and many more! We offer everything you need for a day at the beach, hanging poolside or just having fun in the sun! Our swimwear collections include all the latest styles for the entire family including dad and the kids. We also carry a great selection of all of your favorite slippers including the latest styles from Crocs, Reef, Sanuk, Ipanema and more.